To better protect your privacy, we display this notice that explains our online appointments. Further, we have displayed this notice on our home page and at every point where personal information may be requested. We do not sell, rent, exchange or distribute your private information to any outside parties. We use the information you provide about yourself when requesting an online appointment. We do not share this information with outside parties except to the extent necessary to complete your online appointment. We use return email addresses to answer the email we receive. Such addresses are not used for any other purpose and are not shared with outside parties. We switched to JCS in August of 2012 after doing extensive research on all of the major jewelry software companies. JCS was the only company who would allow us to make changes to tailor the software to our needs. Craig worked with us to do extensive changes to the software and develop a portal to better manage our clientelling among other things. When I call Craig for a change we would like to see made he gets it done. JCS has definitely helped propel our business forward and after having it for over 3 years I would definitely do it all over again!. We couldn't be happier with our decision to adopt JCS for our POS and inventory needs. 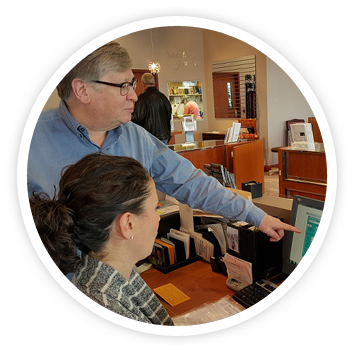 Going from a completely manual (hand written records) sales and inventory system to a system that understands the jewelry industry and adapts itself to the industry needs was the best move we made two years ago. Everything is a click away. 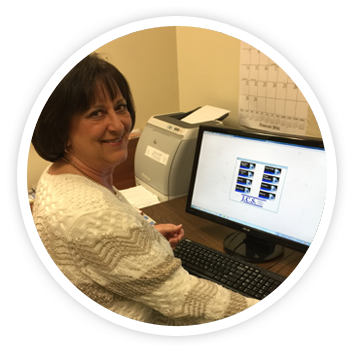 This allows for ease in inventory control and record keeping providing our customers with detailed sales history. The entire store staff has recognized the efficiency JCS has provided us. The RFID scan ability is an awesome tool to pin-point inventory tracking…utilizing case assignments, picture reports. The customer support provided by JCS is efficient and accessible. You actually speak to someone immediately and 99% of the time my problems have been resolved with one phone call. Support is just a phone call away. Prior to Thacker Jewelry signing on to Jewelry Computer Systems in 2009, we had used a jewelry software system that we thought was good. It handled most of our needs regarding point of sale and inventory control pretty well. However, as time went on it wasn't as flexible as we wanted so we started looking around for another system that might fulfill our needs. After an extensive search looking at all systems available, we settled on JCS as being the best fit for us. We talked to a number of companies that were using it at that time and with the glowing recommendations decided to hire JCS. We have not regretted our decision at all. 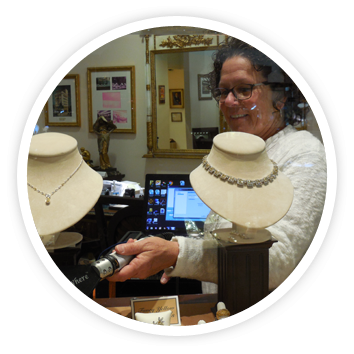 JCS gives us the inventory control, the POS, client management, and records we need to run a jewelry business in these fast paced times. We track all our repairs and special orders as well as our manufacturing items at our factory. Craig and Viet have responded quickly and positively to any situations or modifications that have arisen over the years. I would highly recommend anyone considering jewelry computer software for their business to take a serious look at Jewelry Computer Systems. You won't be disappointed! 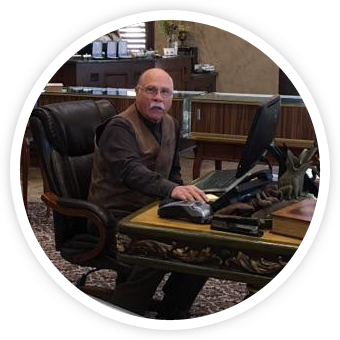 "Michelson Jewelers has been on the JCS system for over 10 years:In my 25+ years as a CPA in the jewelry industry I have used or reviewed several jewelry software systems. During our last system conversion, I selected the JCS system based on ease of use, value for dollar spent and completeness of reporting function. Over the last 10 years, I've been pleased to find that my initial evaluation was correct. 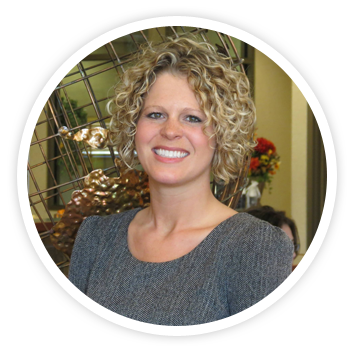 Further, I've been more than impressed with the quality of customer support – Craig and his team are responsive to any needs that may arise on my end, and have continued to add reports and functions that make running a jewelry business easier. I heartily recommend the JCS Management System." At Sissy's we believe the customer is always right. At JCS they have the same philosophy and Craig will go the extra step to make his customers happy. Nights, weekends, holidays….it does not matter. They work for you when you need them. Call us at Sissy's and we will make you a believer that JCS is the jewelry software choice for you!